We're big fans of Netflix here at T3: the on-demand video streaming site and its associated mobile apps have helped revolutionise the way we all watch movies and television shows, and the speeding Netflix juggernaut is showing no signs of slowing down just yet. Despite its plain interface, there are plenty of ways to tweak, hack and customise Netflix - many of which you might not have come across before. As well as the features built into the site and apps there are plenty of third-party plug-ins and extensions to make use of. Netflix lets you set up multiple profiles, so do so: you can keep your viewing history (and recommendations) separate from the kids or your spouse, or you can configure several profiles for yourself to match different moods you might be in (one for guilty pleasures and one for high-brow viewing perhaps). There are dozens of hidden categories inside Netflix, most of which can't be accessed through the main interface - to get at them, you need to consult an online directory like this one or this one. From deep sea horror movies to films for children aged 11-12, there are a lot of categories to explore. By default, Netflix will serve up a certain video quality based on the speed of your internet connection, but it's easy to change this if you want to (you want to save on data usage while away from home, for example) - go to Your Account from the main drop-down menu on the web then choose Playback settings. From the web interface you can click Your Account from the drop-down menu in the top-right corner then select Viewing activity. The subsequent screen can remind you of what you've watched in the past and remove entries from the list that you don't want influencing the recommendations Netflix shows you. There are quite a few useful browser extensions for Netflix on the web, one of which is NEnhancer for Google Chrome: among the plug-ins other capabilities, it adds a random episode button to the Netflix interface. If you can't decide what to watch next, then this extension can lend a hand. You don't have to reach for the mouse to operate Netflix on the web, because the site supports a number of handy keyboard shortcuts. You can see them all here, but we like Enter or Space to pause (and restart playback), F to go full-screen and Shift+the left or right arrow key to rewind or fast-forward. Another browser plug-in of note is Netflix Party for Google Chrome. It adds a chat window to the right of the screen and synchronises playback between different computers, so you can do your binge-watching with friends (even if they're on the other side of the world) and chat about what you're viewing. For the serious binge watcher, having the next episode of a show automatically appear on screen is a bonus, but if you don't like this behaviour you can switch it off: open up the drop-down menu in the top right corner of the web interface, choose Your Account and then select Playback settings. 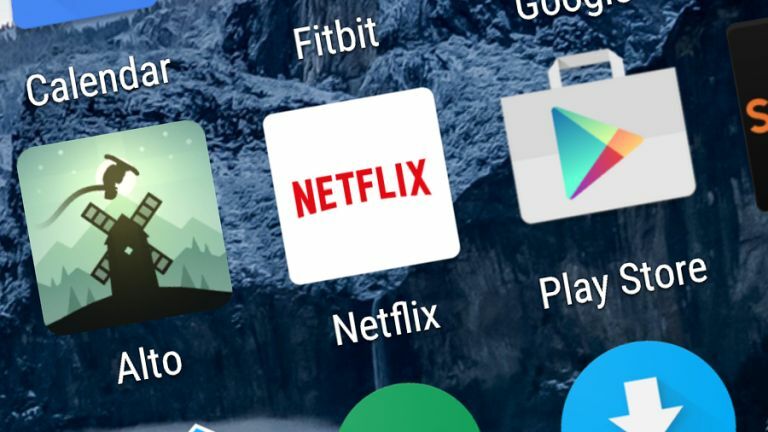 Flix Plus for Google Chrome is one of the best browser plug-ins for Netflix: it adds links to review sites, fades out shows and movies you've already seen and more. One of its other tricks is the way it hides descriptions for films and specific episodes, just in case there are plot spoilers lurking somewhere in them. If you don't find the default Netflix subtitle style to your liking then it's easy to change it (and make the font bigger for example) - go to Your Account from the main menu on the web then pick Subtitle appearance. You can change the font colour, make it smaller or larger, and add a drop shadow. The Netflix Roulette site does exactly what you might expect from its name: set your parameters (you can restrict the search by type of content, rating or particular actors and directors), then click the Spin button to see a random recommendation. If you can't decide what to watch, use this. Do you share your Netflix login details with anyone? You can check up on recent Netflix activity and make sure there's nothing suspicious going on - go to Your Account on the web, click Viewing activity and then See recent account access link. There's a "sign out of all devices" option on the main settings page. We're back to Chrome extensions, this time Super Netflix. Install the plug-in, click on the cog icon, and you can adjust the quality of your video stream on the fly. As an added bonus, the extension also lets you load in custom subtitle files, and there are a handful of other tweaks to try too. Netflix does a decent job of alerting you to new content on the site, but if you need something even better then give What Is On Netflix? a try. Not only can you see new listings with a couple of clicks, you can also get a random recommendation and quickly view the highest-rated content too. As you might have realised, movies and television shows are pulled from Netflix all the time as licensing deals expire. Not only does New On Netflix tell you what's new on Netflix (obviously), it's also got up-to-date listings of everything that's about to leave the service, so you can watch it before it's gone.